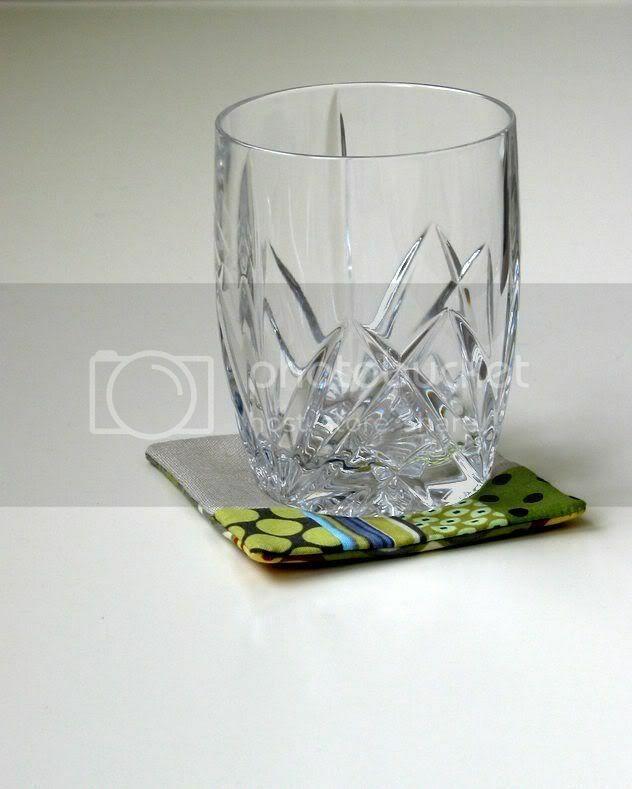 One of the 171 blogs that I read regularly posted a pic of a lovely coaster she had made. 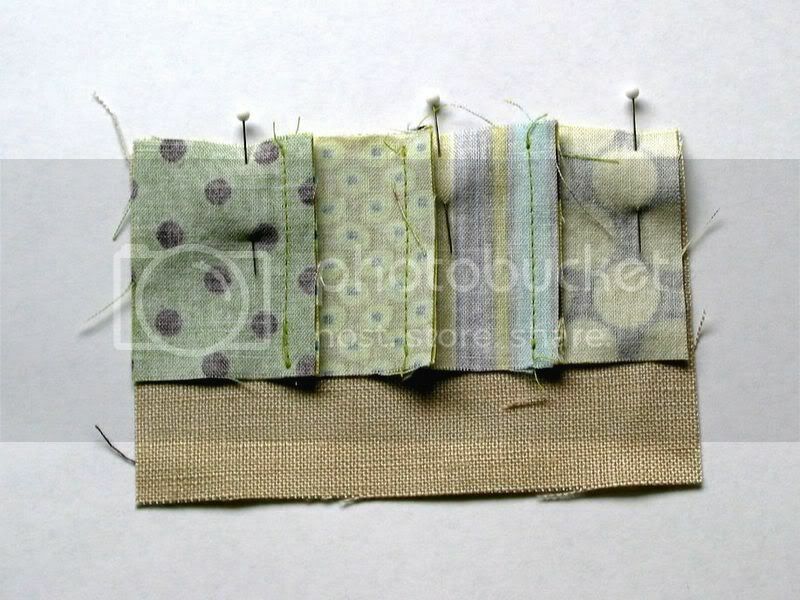 To help break up the quilting on the Green Road quilt I decided to give it a whirl with some of my scraps. I’m just tickled with them and thought I’d share how I put them together. They go together lightening fast and I could see making these as last-minute gifts. Read the full post if you’d like to give ’em a whirl. I’m not a tutorial writer, so let me know if I’m not explaining something clearly. 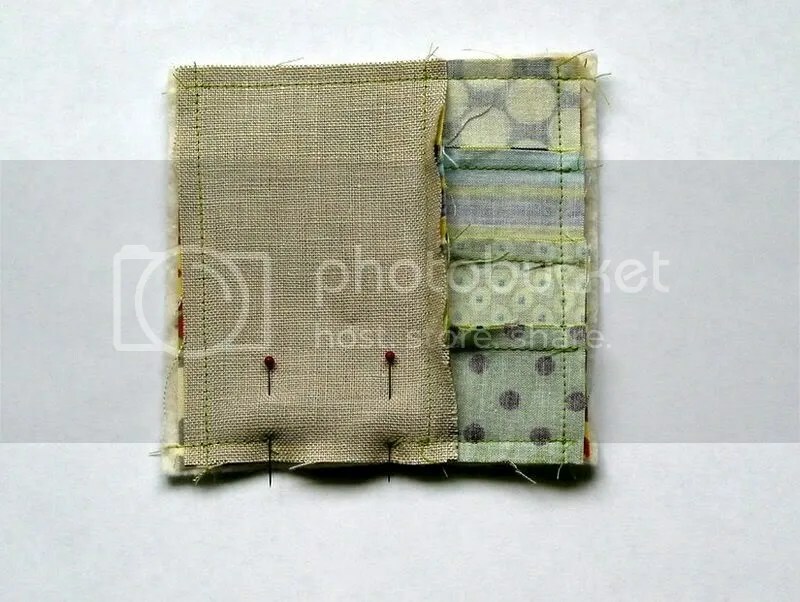 I’m probably making a mockery of any proper sewing techniques. This worked for me…but apologies to real stitchers. Sew the accent rectangles into a row (with long sides together). 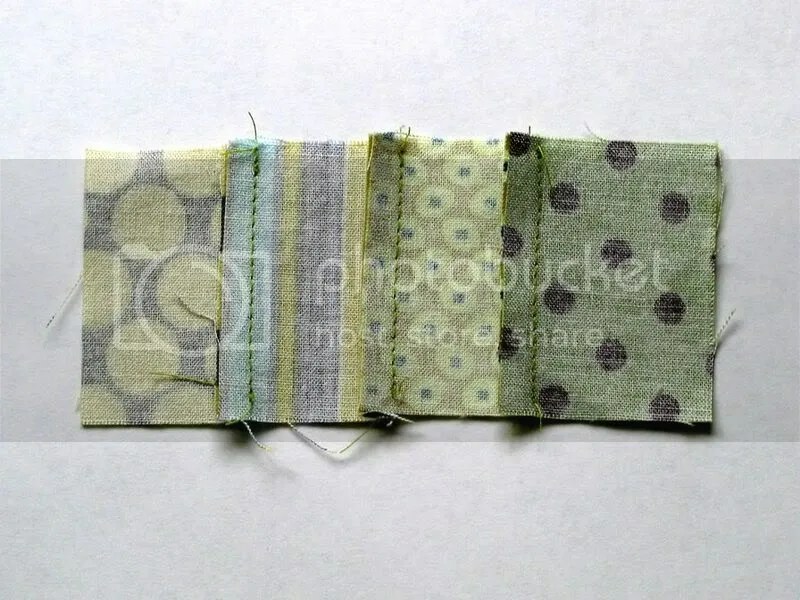 Press seams in one direction. 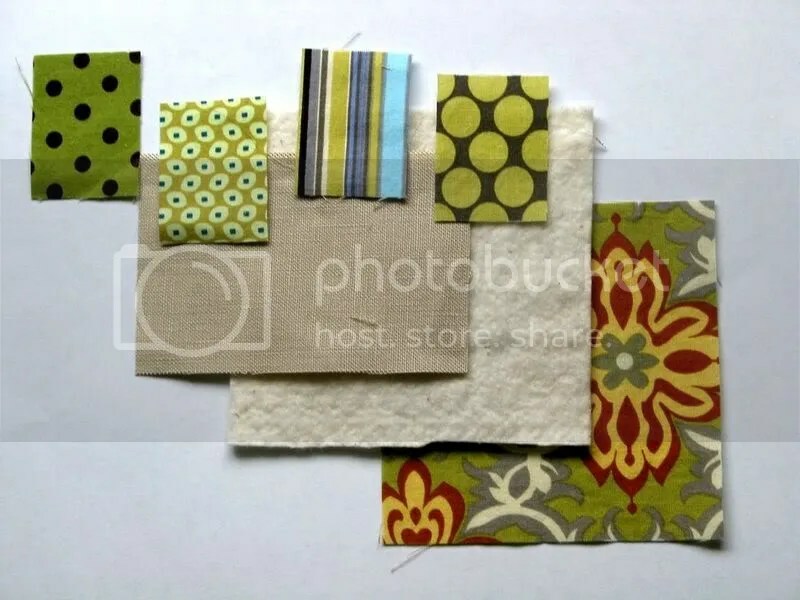 Pin the right side of the top rectangle and the accent row together. Sew. Lay back fabric over the batting (wrong side to the batting). Place coaster top face down on top fo the backing fabric and pin. Sew around the edge leaving a 1.5″ gap for turning. Make sure to reinforce your stitches at the corners and at either edge of the turning gap. 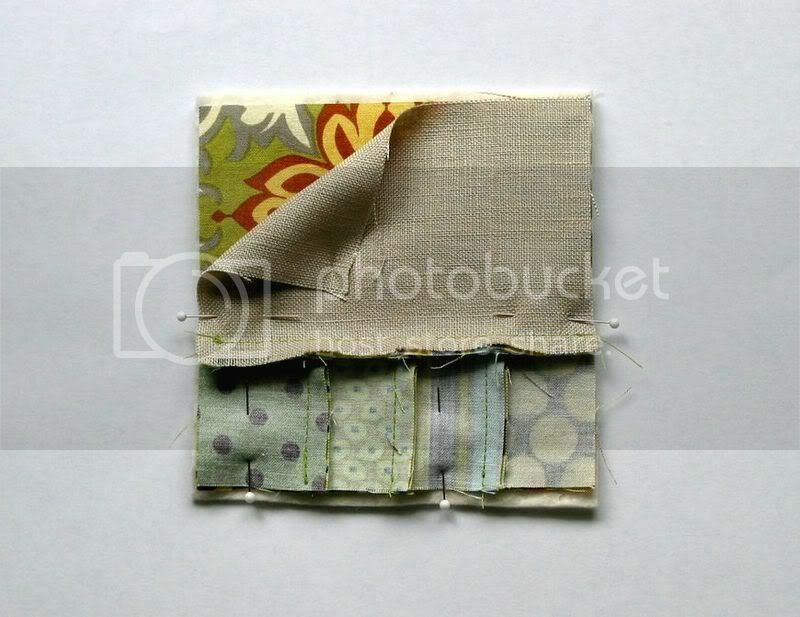 Clip corners and trim seam allowance to approx. 1/8″ on the three closed sides. Turn your coaster right-side out. And use a corner tool or a chopstick to press out the corners into nice points. Tuck in the edges of the turning gap so they’re flush with the rest of the coaster edge and press. 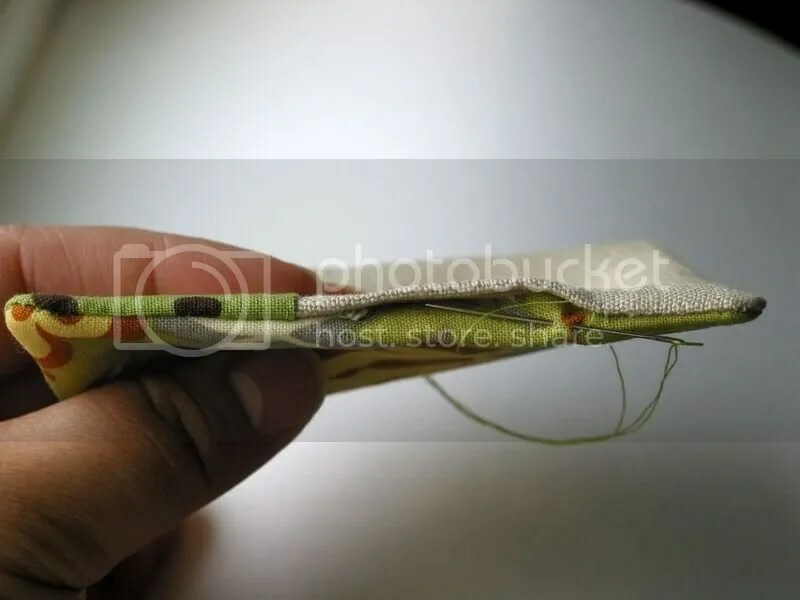 Hand sew the turning gap closed using an invisible stitch. Those are so neat! I wanna make some now. 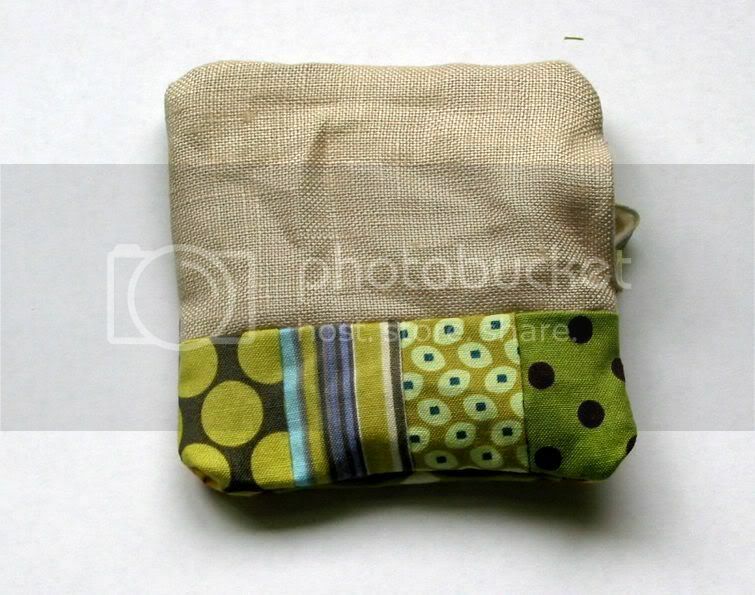 Gotta dig out the sewing machine and scraps…. Lovely. I whipped up some of these last night. Thanks for the tutorial. 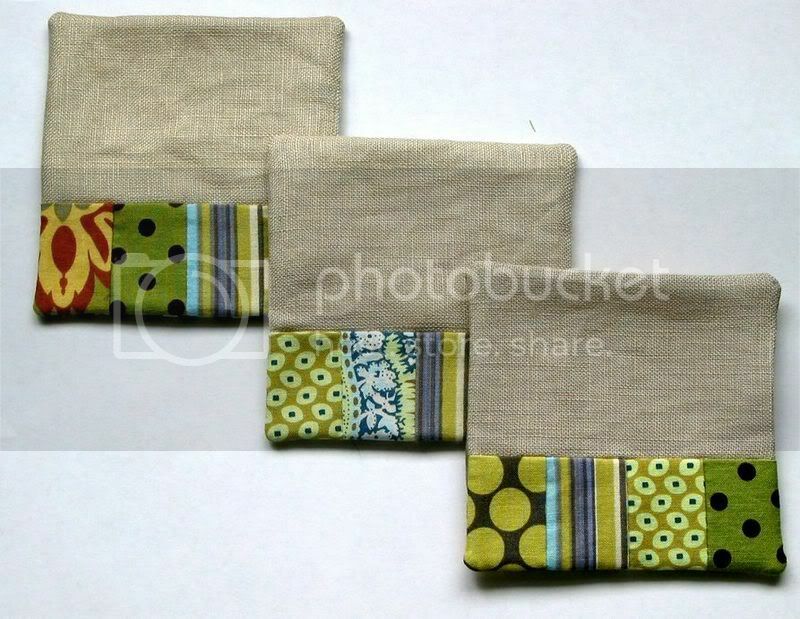 I just made these from linen and japanese fabric for a little housewarming present. So fun. Thank you for the tutorial! I’m not sure I agree with the quick part though, lol! I made six and then made a little bag to put them in (idea from: http://tcaovar.blogspot.com/search/label/Coasters. ) It makes a very neat little set and fun way to gift it. 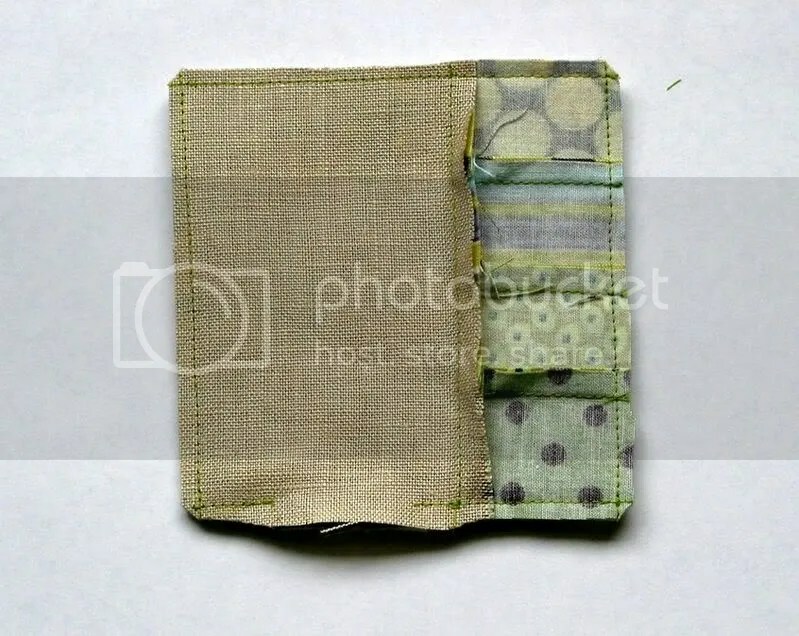 Plus it took about five minutes to make 🙂 Mine are viewable at the Sewmamasew flicker group. Thank you – I love these. Hello! I work with Kristin on her Sew, Mama, Sew blog and we wanted to ask you about linking to your tutorials… Your email address keeps bouncing back. Would you mind contacting me via email for details? We love your work! I just love this idea for Christmas presents, and your choice of ‘left-overs’ is superb. Thanks for the inspiration. Hi thanks for the great tutorial! I made some today and it was very easy to follow. And it didn’t take to long, even with a 9 month old interrupting every 5 minutes! I just found this via Sew Mama Sew. Your coasters are really pretty. Thanks so much for the tutorial. I’ll have to try these for next year! Found this from Ottobre Sewing group. I’m so excited to make these for my SIL for Christmas, it’s the perfect gift for her!! Thanks so much! These are awesome! 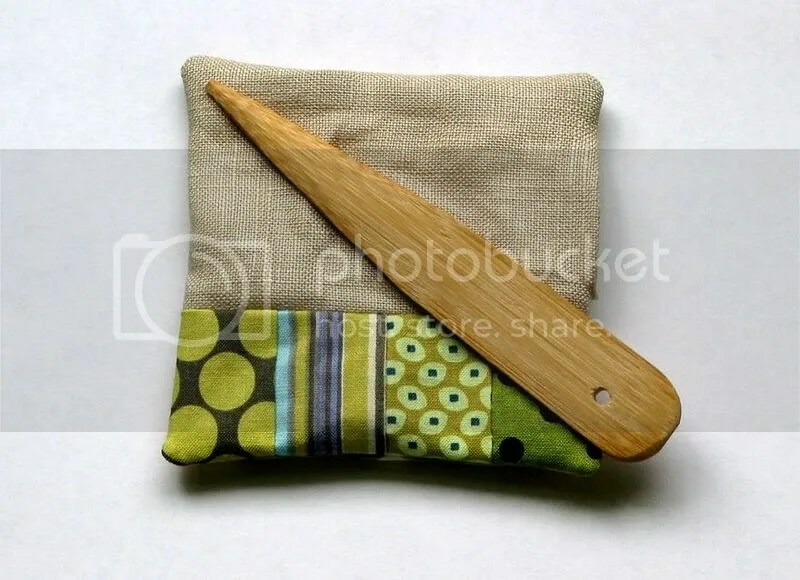 I am fairly new to the sewing world and this seems like a fairly easy project:) Thanks for sharing!! 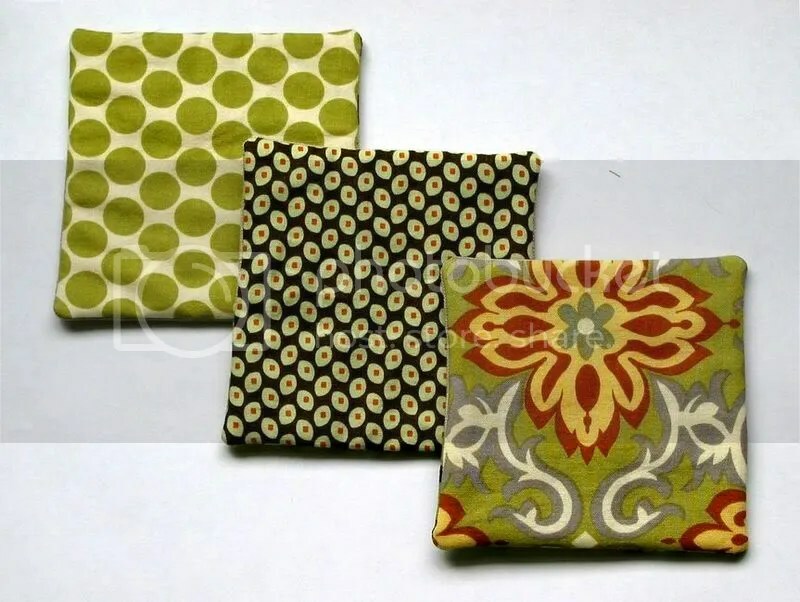 found you through the sew mama sew handmade gift guide… these turned out beautiful and i have to say i LOVE your color/print choices of your fabrics! These are the cutest. I am making some for my mom tomorrow as part of her Christmas present! Thanks for the easy directions and pictures! woohoo.. I need some quick gifties to make this week (um I got two days of sewing to perform miracles in) and these would be PERFECT gifts! Hi! I love this coaster idea! I also wanted to let you know that I linked to this page from my blog. I hope you don’t mind:) Thanks! I made a couple…they are really cute. Also a great new way so use up the ridiculously tiny bits of favorite fabrics that I can’t throw away. Thank you for the tutorial! Thanks for the tutorial!…I made a bunch for gifts and turned out great. Where is the pattern for the coaste holder? Do you need to line them with anything? I have worked for an office furniture company for many years . Being in the manufacturing of office screens and chairs we end up with bin loads of off cut Fabric ! Now I have something to do with those troublesome off cuts! Cheers! And while you’re there, make sure to check out my giveaway this month! I have seen that expenses for online degree professionals tend to be an awesome value. For example a full Bachelor’s Degree in Communication in the University of Phoenix Online consists of Sixty credits with $515/credit or $30,900. Also American Intercontinental University Online gives a Bachelors of Business Administration with a entire course feature of 180 units and a cost of $30,560. Online learning has made getting the college degree been so detailed more than before because you can certainly earn your current degree from the comfort of your dwelling place and when you finish from work. Thanks for all your other tips I have learned through the blog. These are on next years Christmas gift projects!Thanks for posting. I was looking for an easy Xmas project for my NFL fans. This is it. Thanks for the tips. I used the scrap material I had left from making NFL pillowcases. own blog soon but I’m having a tough time choosing between BlogEngine/Wordpress/B2evolution and Drupal. The reason I ask is because your design and style seems different then most blogs and I’m looking for something completely unique. Hi! I use WordPress. I haven’t been able to blog recently…but back when I was active WordPress was the right combo of simple and flexible for me. If you can take a basic HTML class or do some HTML research you’ll find you’ll have a lot more control over simple things on your blog no matter which service you select. Good luck! Podobna strona www kajaki wda http://Pinterest. myspace group? There’s a lot of folks that I think wold reaally enbjoy your content.